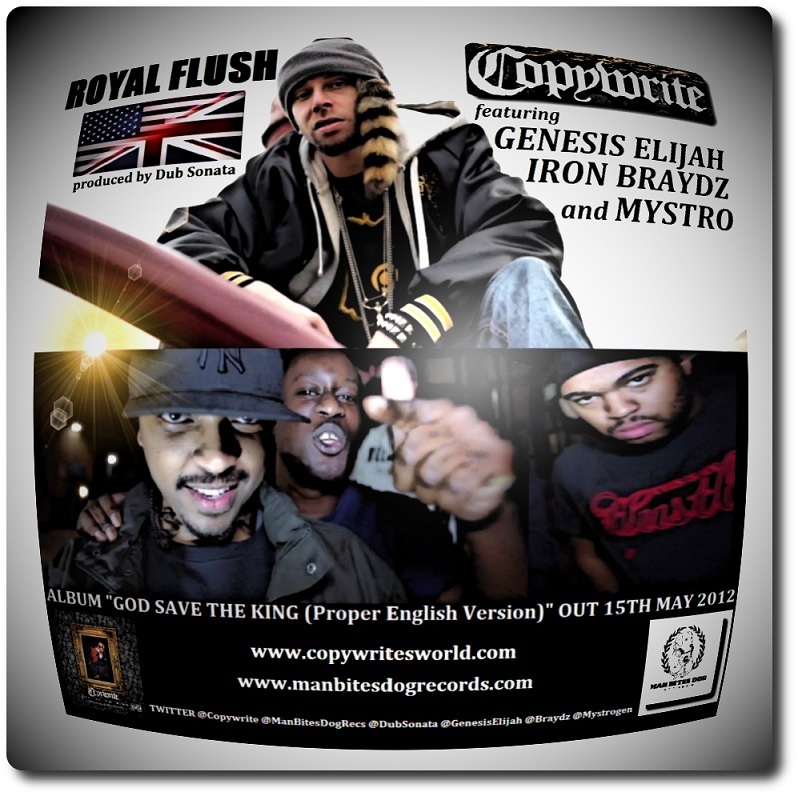 Ohio’s Copywrite releases his new album, God Save The King (Proper English Version) on 15th May 2012 on Man Bites Dog Records. The album includes features by some of the hottest MCs from the UK and USA, including London’s Genesis Elijah, Iron Braydz and Mystro who also appear together in this latest video. “Royal Flush” is a special bonus track put together to celebrate the international flavour of the album. Copywrite, Genesis Elijah, Mystro and Iron Braydz all go in hard over New York producer Dub Sonata’s beat, four MCs on top of their game delivering their own trademark punchlines and metaphors. The video was shot on location in Ohio and west London & has its UK TV debut airing on Flava TV (Channel 367) on Saturday 21st April.